Rio Tinto CEO Sam Walsh says he is committed to boosting the number of women working in senior management roles at the company. Speaking at a Melbourne Mining Club function, Walsh said women will be a strong part of the new senior team of the business. "We get it right at an operating and working level, it's when you get up to senior management that we have the problem," Walsh said. "We're missing out on 32 per cent of the talent that's out there." At a separate event in London a day earlier, Walsh acknowledged the gender diversity issues in mining and encouraged women to be more confident about their skills. "One of the biggest challenges is that you throw a job opportunity at a bloke and he says, `I can do that, I've got all the background, I know exactly what I should do'," Walsh said. "You throw the same opportunity at a woman and … well `I've never done that before, it would be a huge stretch', and what-have-you." Walsh said men tended to “stretch the facts” when it came to taking on new roles. “Women here need to have more confidence in your own ability to adapt, your ability to be resilient, your ability to be flexible and responsive to a new challenge and you need to take a risk,” he said. 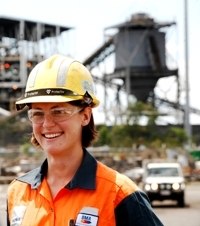 A recent survey by PWC found that people working in the mining industry believe the most notable barriers for women in the sector included a male dominated culture with a ‘Boys’ Club mentality, a small talent pool in the pipeline, lack of sponsorship and role models, and a aack of senior management commitment to diversity. 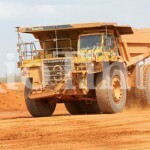 Of the 500 mining companies surveyed in connection with the report, 7.9 per cent of boards are female; an improvement of 3 per cent over three years. However the report stated there has been no change in the number of female CEOs or female chairs in the top 100 listed mining companies. “Assuming a linear projection of the rate of increase of women on boards, we have calculated that it will take the top 100 listed mining companies until 2039 to achieve the 30 per cent threshold noted to be critical for women on boards to have the maximum positive impact on company performance, and until 2045 for women on boards in the top 500 listed mining companies to achieve the same,” PWC said.